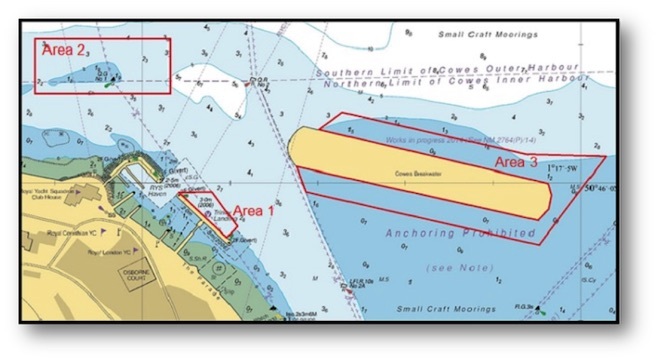 Notice is hereby given that dredge licences have been issued for dredging to commence at three sites within Cowes Harbour. 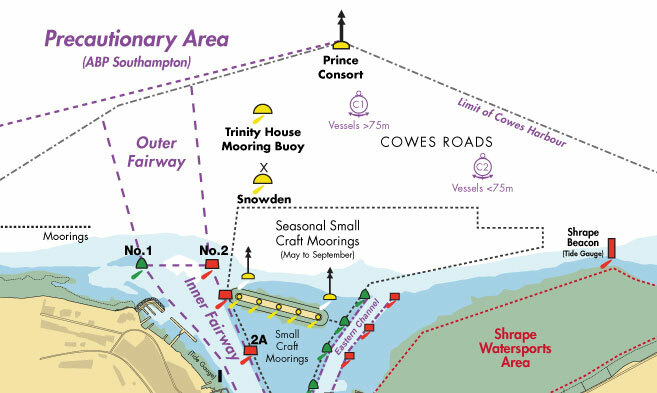 These areas are off Trinity Landing (area 1), in the vicinity of No.1 buoy (area 2) and an area encompassing both north and south of the Cowes Breakwater (area 3) - please see areas highlighted in red in figure 1 below. The dredging operations are likely to commence in area 1 on 28th March, area 2 on the 29th March and area 3 on or around the 31st March. These operations will be carried out by the dredge barge Doreen Dorward, with the spoil being deposited into two split hopper barges Nab and Needles. The Nab and Needles may regularly transit the fairway (inbound and outbound). Vessels navigating in the vicinity of the dredge areas shall do so with particular caution and maintain a listening watch on VHF Channel 69 for broadcasts communicating their movements. • To keep well clear of the dredging operations, where practicable, and in all cases navigate with caution when passing this area. • To comply with the Cowes Harbour General Direction 3.2 – Speed Limit 6kts and No Wash.
• To maintain a listening watch on VHF Ch. 69 when underway within Cowes area of jurisdiction. This notice will remain in force until further notice.